FAIR: The record is still just playable but has not been cared for properly and displays considerable surface noise; it may even jump. The cover and contents will be torn, stained and/or defaced. The cover and contents suffer from folding, scuffing of edges, spine splits, discoloration etc. The Best of Englebert Humperdinck. 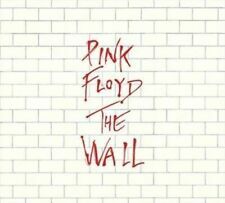 1987 US release by Pair Records. Vinyl: Excellent. C2: Thru The Eyes Of Love. B4: I Wish You Love. C1: Love Letters. D4: What Now My Love. made with love by. ENGELBERT HUMPERDINCK - Engelbert Sings The Hits. This is one of 10000 LP's, 12” and 7" that I HAVE COLLECTED OVER THE LAST 30 YEARS; they run from the 1950's to the 2000's and cover every style of music. Artist: Engelbert Humperdinck. Catalogue Number: CN2070. Format: LP. the sound, which is why we play testall of our records. So you know the sound quality of the record you're getting, not just what it looks like. Artist: ENGELBERT HUMPERDINCK. Label: DECCA. Year: 1974. Format: LP. Acts 1 & 2 - UK stereo Vinyl LP. This is one of 10000 sin gles LP's, 12” and 7" that I HAVE COLLECTED OVER THE LAST 30 YEARS; they run from the 1950's to the 2000's and cover every style of music. Country of Origin - UK. Acts 3 & 4 - UK stereo Vinyl LP. This is one of 10000 sin gles LP's, 12” and 7" that I HAVE COLLECTED OVER THE LAST 30 YEARS; they run from the 1950's to the 2000's and cover every style of music. Country of Origin - UK. ENGELBERT HUMPERDINCK - A Man Without Love. This is one of 10000 sin gles LP's, 12” and 7" that I HAVE COLLECTED OVER THE LAST 30 YEARS; they run from the 1950's to the 2000's and cover every style of music. Walk Hand In Hand. The Last Waltz. In excellent condition. A Man And A Woman. Nature Boy. Spanish Eyes. From Cover: SKL 5054. Item: Engelbert Humperdinck - We Made It Happen - 12" LP Vinyl Record. Included: 1 x LP Record. Standard Colour Cover. Colour Printed Instructions For Playing Stereo Records on Inner Sleeve. From Cover: SKL 5163. Item: Engelbert - King of Hearts- 12" LP Vinyl Record. Included: 1 x LP Record. Standard Colour Cover. Colour Printed Instructions For Playing Stereo Records on Inner Sleeve. OT - Other - details will be shown. Artist :- Engelbert Humperdinck. Year :- 1967. The cover is in perfect condition. Records advertised as Sealed or Unplayed should be Mint. 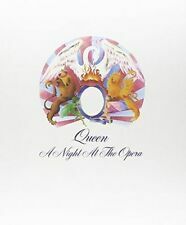 This is an opportunity to add this great record to your collection. Cat No: SKL 4868. Engelbert Humperdinck. Label: Decca. Released: 1967. 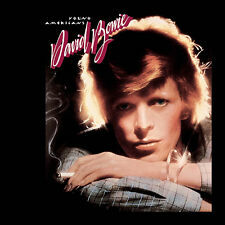 Condition: Vinyl VG / Sleeve VG. Engelbert Humperdinck~"Greatest Hits"~Vinyl Record~LP~Decca~ ZAL 16735 TAB 8. Condition is Used. Dispatched with Royal Mail 1st Class. Look for the red door ikon a bit nearer to the top of the page. Engelbert Humperdinck - Live At The Riviera. Label: MFP. Format: Vinyl Record - LP. My Wife The Dancer. 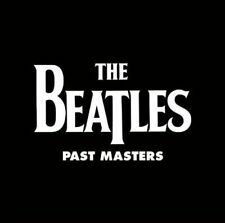 Planet Earth Records is run by Records Collectors for Record Collectors. Catalogue No. You'll Never Walk Alone. Visual inspection show signs minimal marks and scratches. Sleeve of this age show signs of wear, but good condition for age. Catalog Number: SKL 5198. Engelbert Humperdinck - His Grestest Hits. 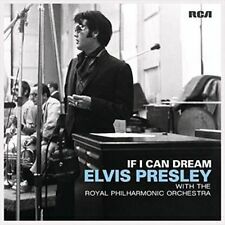 Record: Very Good Plus (VG ), has a few hairlines. RECORD GRADING for vinyl record grading. every record that we list for sale. In very good condition. 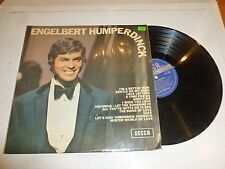 The Very Best of Engelbert Humperdinck DOUBLE LP (Decca 1970 ). In gatefold cover. Engelbert LP (Decca 1969). Engelbert Humperdinck. Cat No: STAR 2254. Condition: Vinyl VG / Sleeve VG. Country: UK. 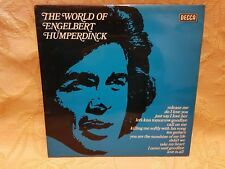 Engelbert Humperdinck - The World Of Engelbert Humperdinck. Label: Decca. Planet Earth Records is run by Records Collectors for Record Collectors. Format: Vinyl Record - LP. You Are The Sunshine Of My Life. 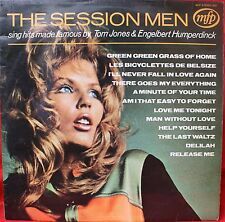 MONO 1ST PRESS UK MARKET RELEASE, DECCA, LK.4901, 1967. RARE LP AT A LOW PRICE! Cash on collection. Banker's drafts. We accept banker's drafts drawn on a UK bank account. In particular, we do not accept: 1.